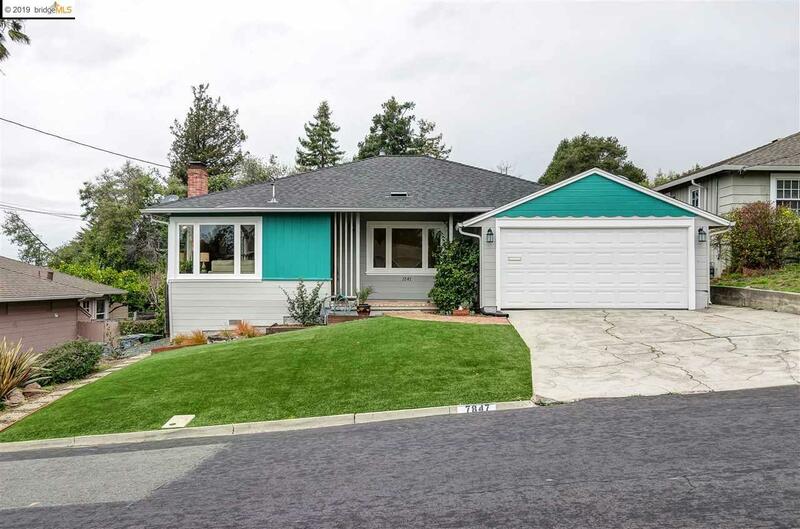 Enjoy wonderful views from this light-filled 3 bedroom, 2 bathroom ranch-style home in the heart of the El Cerrito Hills just a short distance to FatApple's, BART and the El Cerrito Plaza shops and restaurants. The home boasts a convenient single-story floor plan with a spacious living/ dining room combo, updated eat-in kitchen, and a large family room with a full bath and sliding glass doors to the outside. There are lovely exterior grounds that include a large rear deck and garden with mature landscaping. Other features include fresh interior paint, refinished hardwood floors, dual-pane windows and a double garage with interior access. Come see this lovely home.